The theatre of silence is a wonderful natural theatre, which is located in the Tuscan hills, in the countryside of the village of Lajatico. During the year this theatre is characterized only by the silence and suggestive landscape, and its name is due to this fact. 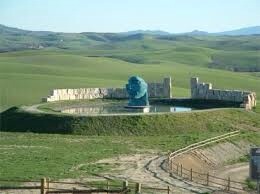 Only once a year this silence is interrupted by the beautiful voice of Andrea Bocelli. This event changes date every year but it usually takes places in the second half of July. 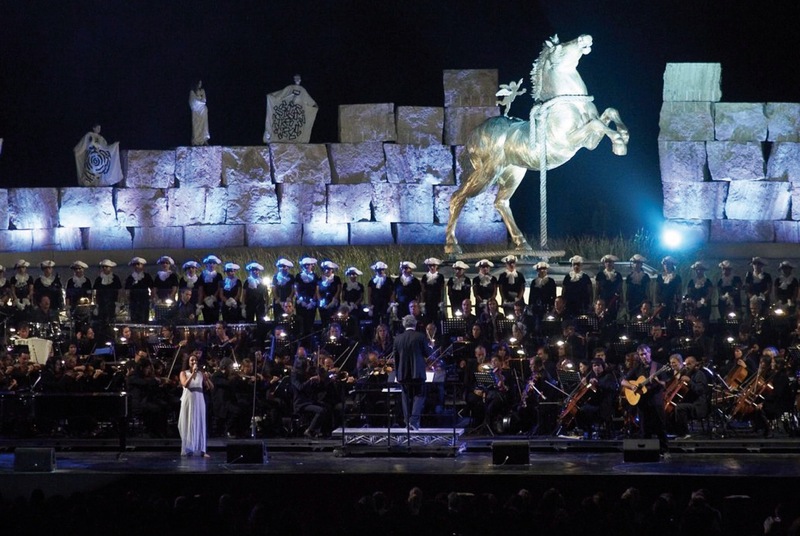 This show is not only a concert, but an artistic event too, because every year international singers and dancers take part in this event to perform in the show, and the best architects and artists make the sets. The price of the ticket is from € 80 to € 400, it depends on the seat you have ( like in a concert). Every year, this event brings thousands of tourist from all over the world in this land, thanks to the magnificent voice of Andrea Bocelli, who is well known all over the world. Also because there are other international singers and dancers, and finally because every year the artistic director can make unbelievable sets, lights and colors. I love this event because I love music and I love my land, the landscape of Tuscany countryside, and this is a perfect combination of that !